Islamofascism has emerged into the national conversation with increasing frequency and prominence since the Sept. 11 attacks. Supporters of the term claim they are using it to describe a dangerous form of radicalism. But critics say the word is offensive and ill-considered — a poorly conceived shortcut to describe a mix of Islam and politics. The term has also become so much a part of the polemics surrounding Islam that different people — including government leaders and media outlets — mean different things by the word. This edition of ReligionLink provides background on the term’s usage and context, and the issues surrounding it. Islamofascism, or Islamo-fascism, is often defined as an effort to identify forms of radical Islam with 20th-century European Fascist movements, or with right-wing violence in general. The term fascist has itself become difficult to define because it is so widely invoked, experts say. And that further complicates definitions. The origin of the term Islamofascism is unclear, with some possible citations as early as the 1930s. Usage appears to have increased after the Iranian revolution of 1979 and into the 1990s. But the term really gained currency after the Sept. 11 attacks. In 2005, President George W. Bush began deploying the term, along with Islamic fascists, in an effort to focus attention on the White House strategy for the “war on terror.” But the president’s use of Islamo-fascism generated such controversy and a backlash among Muslims that he stopped using it. The term has continued, however, to resonate in conservative — and especially neoconservative — circles. Words are powerful and can have serious, sometimes deleterious consequences. That has often been true when discussions turn to religious topics, and since 9/11 one of the most controversial religious topics is Islam. Moreover, journalists have a particular responsibility to use fair and accurate language. Read the Wikipedia entry on Islamofascism. Because Wikipedia is an open-source site, journalists should double-check references and citations. But the entry does provide a good overview of the origins and meanings of the term. 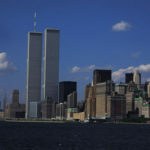 Read a Sept. 11, 2007, post by David Bernstein at the blog Volokh Conspiracy, which has a critical discussion of the term. Read an Oct. 1, 2006, “On Language” column by William Safire of The New York Times, which discusses the roots and meanings of the word. Read a Sept. 24, 2006, New York Times story which discusses Bush’s use of the term “Islamofascism” and the controversy it generated. The American-Arab Anti-Discrimination Committee works to stop discrimination against Muslims. The American Muslim Alliance promotes participation of Muslim Americans in the political process. The alliance is based in Newark, Calif. Agha Saeed is its national chairman. The Council on American-Islamic Relations says it is the largest advocacy group for Muslims in the U.S. It advocates for Muslims on issues related to civil liberties and justice. Contact communications director Ibrahim Hooper in Washington, D.C. The Islamic Society of North America promotes unity and leadership among Muslims. The organization, based in Plainfield, Ind., has a large immigrant presence. Contact executive director Ahmed Elhattab. The Muslim Public Affairs Council works for Muslim participation in civic life. It is a leading Islamic advocacy group with offices in New York and Los Angeles, committed to developing leaders with the purpose of enhancing the political and civic participation of American Muslims. It works to cultivate leadership in young Muslims and encourage a sense of ownership over their religious and national identity as Americans. The group’s $1.1 million budget includes no overseas funding. It has offices in Washington, D.C., and Los Angeles and several state chapters. The council is considered moderate and politically savvy and is led by first- and second-generation Americans. Contact Salam Al-Marayati, executive director. United Muslims of America is a nonpartisan public affairs organization that works to promote the participation of Muslims in American public life, including economics, education and politics. The nonprofit organization is based in Sunnyvale, Calif., and is supported by membership fees. David E. Bernstein is a professor at the George Mason University School of Law in Arlington, Va., and posts at the Volokh Conspiracy blog, where he wrote about Islamofascism. Yvonne Y. Haddad is professor of the history of Islam and Muslim-Christian relations at Georgetown University in Washington, D.C. She co-authored Muslim Women in America: The Challenge of Islamic Identity Today and Educating the Muslims of America. Her scholarly interests include Muslims in the West, Islamic revolutionary movements, 20th-century Islam and the intellectual, social and political history of the Arab world. David Horowitz is a self-described conservative and founder of the David Horowitz Freedom Center and the Terrorism Awareness Project. The project sponsors an annual “Islamo-Fascism Awareness Week” on campuses. Mark Juergensmeyer is director of the Orfalea Center for Global and International Studies and a professor of sociology and affiliate professor of religious studies at the University of California, Santa Barbara. He is the author of Terror in the Mind of God: The Global Rise of Religious Violence, and his most recent book is Global Rebellion: Religious Challenges to the Secular State, From Christian Militias to al Qaeda (2008). Frederick W. Kagan is a widely read military historian and fellow at the American Enterprise Institute in Washington, D.C., who is associated with the neoconservative movement. Kagan has said he prefers the term Islamist to Islamofascist. Hussein Rashid is a visiting professor of Islam at the religion department at Hofstra University and a prolific blogger and commentator on Islam in America. He has written about Islamophobia, for example in this June 3, 2009, column for the website Religion Dispatches. Stephen Schwartz is executive director of the Center for Islamic Pluralism, which says it promotes moderate Muslim views. Schwartz has taken credit for coining or popularizing the term. John Esposito is founding director of Georgetown University’s Center for Muslim-Christian Understanding and professor of religion and international affairs and of Islamic studies at Georgetown. He is an expert on global terrorism, Islam and democracy, and international interfaith relations. His publications include Islamaphobia: The Challenges of Pluralism in the 21st Century and Islam: The Straight Path; The Oxford Dictionary of Islam; Unholy War: Terror in the Name of Islam; What Everyone Needs to Know About Islam; Who Speaks for Islam? : What a Billion Muslims Really Think; and Women in Muslim Family Law. Contact: jle2@georgetown.edu, jfc83@georgetown.edu, 202-687-8375, 202-687-6418. Fawaz A. Gerges is professor of international affairs at the London School of Economics. Gerges is a senior analyst and regular commentator for ABC Television News and a commentator for NPR’s Morning Edition. He has appeared on television and radio networks throughout the world, including American networks and Al-Jazeera. Areas of expertise include Islam and the political process, Islamist and jihadist movements, Arab politics, American foreign policy in the Middle East, the modern history of the Middle East, history of conflict, diplomacy and foreign policy, historical sociology and international relations. Contact: f.gerges@lse.ac.uk, +44 (0)77 0360 7479. Robert W. Hefner is an anthropology professor and director of the Institute on Culture, Religion and World Affairs at Boston University. Since 1991 he has also directed the institute’s program on Islam and society. His many books include (as editor) Shari’a Politics: Islamic Law and Society in the Modern World and (as co-editor) Schooling Islam: The Culture and Politics of Modern Muslim Education. Andrew March is an assistant professor of political science at Yale University in New Haven, Conn. He is at work on a book about Islam and citizenship in liberal democracies and is an expert on Islam and democracy. Abdullahi Ahmed An-Na’im is Charles Howard Candler Professor of Law at Emory University School of Law in Atlanta. He is an expert on Islamic law, and his interests also include human rights, reproductive rights and women’s rights in Islam. He is a participating scholar with the Religious Consultation on Population, Reproductive Health and Ethics. Joel Gordon is a history professor at the University of Arkansas. He is an expert on religion and politics in the Arab world. Allen Hertzke is Presidential Professor of Political Science at the University of Oklahoma in Norman, where he specializes in religious studies. His books include Freeing God’s Children: The Unlikely Alliance for Global Human Rights; Representing God in Washington: The Role of Religious Lobbies in the American Polity; and, as co-author, Religion and Politics in America: Faith, Culture and Strategic Choices. He is an expert on church-based populist movements. Peter P. Mandaville is an associate professor of government and politics and directs the Center for Global Studies at George Mason University in Fairfax, Va. His expertise is in international politics and Islam. His research is on the role of Muslim organizations and leadership in Europe and North America; madrassas and education in the Muslim world; and social/political development in the Muslim world. Reem Meshal is an assistant professor of Islamic studies at Louisiana State University in Baton Rouge. She specializes in religious fundamentalism and nationalism, including within the Muslim world. Mohammed Ayoob is University Distinguished Professor of International Relations at James Madison College at Michigan State University in East Lansing. He researches the intersection of religion and politics in the Muslim world. He is the author of The Many Faces of Political Islam: Religion and Politics in the Muslim World (2007). Juan Cole is a history professor at the University of Michigan in Ann Arbor, where he teaches a course on Islam in global politics. He is the author of a book on politics and religion in Iran and another on the politics and history of Shiite Islam. He is the author of Engaging the Muslim World. Juan E. Campo is associate professor of religious studies at the University of California, Santa Barbara. He specializes in the comparative study of Islam, particularly in the Middle East and South Asia, and teaches courses on Islamic tradition; religion, politics and society in the Persian Gulf region; Islamic mysticism; and modern Islamic movements. Khaled Abou El Fadl is an internationally recognized law professor and the Omar and Azmeralda Alfi Distinguished Fellow in Islamic Law at the University of California, Los Angeles. He teaches a course on Islamic law and has also taught about Middle Eastern investment law, immigration law and human rights and terrorism. His books include Speaking in God’s Name: Islamic Law, Authority and Women, and he wrote the entry on Shariah for The Oxford University Handbook of Islam and Politics. M. Hakan Yavuz is an assistant professor in the political science department at the University of Utah in Salt Lake City. He has written about Islamic movements in Turkey and Kurdish nationalism in Turkey.